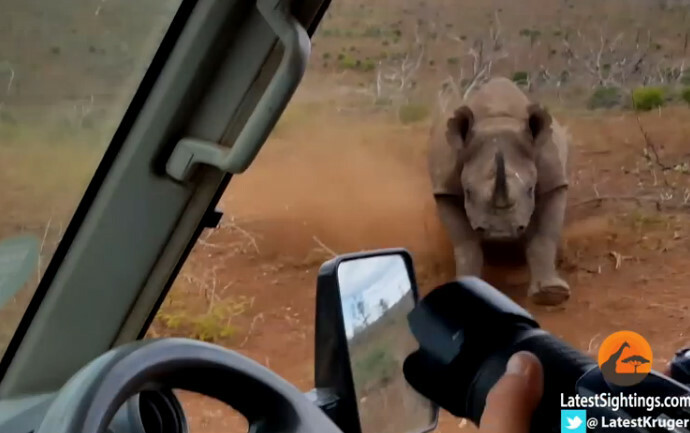 Why Help Save Rhino of South Africa? Welcome to this, the first comprehensive report back for 2017 on the state of rhino poaching in South Africa, as well as on the progress of the Integrated Strategic Management of Rhinoceros approach. Today’s briefing essentially covers two quarters: the period January through March 2017, and then April through June 2017. Our Integrated Strategic Management Approach involving the Justice, Crime Prevention and Security Cluster Departments and a number of State Agencies, namely the Departments of Defence, Environmental Affairs, Justice, Constitutional Development and Correctional Services, the South African Police Service (SAPS), Ministry of State Security and its Agency, South African National Parks (SANParks), the South African Revenue Service (SARS), as well as provincial conservation authorities. Our implementation plan for the Integrated Strategic Management of Rhinoceros as well as the outcomes of the report of the Committee of Inquiry (CoI), were refined during a month-long Rhino Laboratory held last year. In addition to the aforementioned role-players, a number of other key public sector role-players participated in the Rhino Lab. These include the Department of Cooperative Governance and Traditional Affairs (COGTA), local government, the Departments of Rural Development and Land Reform (DRDLR) Agriculture, Forestry and Fisheries (DAFF) Tourism, (DOT) Social Development, (DSD) Education, (DOE) International Relations and Cooperation (DIRCO) and the Treasury’s Financial Intelligence Centre (FIC). The lab had further support from important stakeholders in business, civil society, as well as representatives from communities. These included the People and Parks Committee, the Private Rhino Owners Association, the United Nations Environment Programme (UNEP), the World Wide Fund for Nature (WWF), the Peace Parks Foundation (PPF), the International Union for the Conservation of Nature (IUCN) and the Endangered Wildlife Trust (EWT). Law enforcement (anti-poaching and anti-trafficking): Enforcement – with significant improvements in intelligence capabilities, a full value chain approach of illicit networks (led by SAPS), and ramp up of Province anti-poaching capacities. Management of rhino populations: Management of Rhino populations – outlining processes to develop and share best practices to optimise birth rates. Community Empowerment: Community Empowerment – increase economic participation for communities adjacent to parks. Although the roll-out of the initiatives has a time frame through to 2022, a number of ‘quick wins’ have been identified for implementation that will yield results within a year. A Community rhino ambassadors programme is being rolled-out and the Anti-Poaching Unit (APU) ranger training curriculum is being finalised. In these implementation plans, we have further ensured that we address budgetary requirements as well as identify potential investors. The Rhino Conservation Lab initiatives will be implemented by a broad group of identified stakeholders and tracked within the context of the Biodiversity Lab Delivery Unit. Turning now to our performance during the period under review. 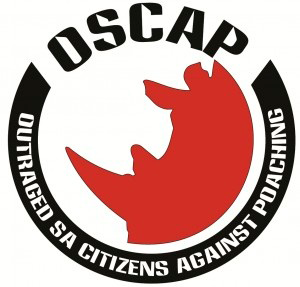 The South African Police Service (SAPS) and the Department of Environmental Affairs continues to lead the campaign against rhino poaching in partnership with the Departments of Defence (DoD) Justice and Constitutional Development (DOJCD) and the State Security Agency (SSA). Our provincial conservation authorities and SANParks ensure the execution of plans inside our provincial and national Parks, and I would like to salute them, especially our ranger corps. They are our men and women on the frontline, keeping our precious natural resources safe. You put their lives on the line every day to keep our rhino safe and on behalf of all South Africans I want to thank each and every one of you. Because we are battling a threat on so many fronts and spread across the expanses of the country, this has necessitated that almost the entire Ranger Corps have been converted to anti-poaching units. They are well trained and supported by canine units, small air wings, and relevant technology. Tactical information management ensures the intelligent deployment of these units. This approach is also being followed by private rhino owners and close cooperation with them has become the norm. Given its size and the large number of rhino living in the KNP in particular, much of our efforts remain directed there. I am pleased to announce that there has been a decrease in poaching incidents in the KNP. This is due to our sustained effective law enforcement efforts. The threat of poaching is now a challenge to other provinces, particularly Kwa-Zulu/Natal. Ezemvelo KZN Wildlife has begun strengthening its response capacity as an anti-poaching unit in line with the existing Mission Area Joint Operational Center (MAJOC). As part of the plan, they are now in the process of setting up an Intensive Protection Zone (IPZ) to ensure priority allocation of resources to where it matters most. Based on the success registered in the implementation of the zoning concept in the KNP, this concept is also being rolled out in other provinces according their specific requirements and circumstances. In the reporting period, a total of 359 alleged poachers and traffickers have been arrested nationally. The number of arrests inside the Kruger National Park totaled 90 alleged poachers with 112 arrested adjacent to the KNP. We are acutely aware that in order to make a real impact on rhino poaching, these arrests must translate into successful investigations and prosecutions. We are happy to report that the Skukuza Regional Court has been sitting since March 2017. It is now fully functional with a number of successful prosecutions. The Stock Theft and Endangered Species Unit continues to play an instrumental role in ensuring rhino poaching cases come to trial. The Unit’s track record this year so far has been noteworthy. Since January 15 cases have been recently finalised which resulted in convictions with 22 perpetrators being sentenced to a total of 95 years imprisonment. It is anticipated that the new regional court at Skukuza will address the remaining cases. In addition, the Directorate for Priority Crime Investigations (DPCI) also known as the Hawks, working in close cooperation with other government departments has also done sterling work since January 2017. The Hawks have made arrests and seizures in 9 cases involving rhino horn traffickers, involving 13 suspects and approximately 140 kilograms of rhino horn. The coordinated efforts between DPCI, the South African Revenue Service (SARS) Customs, supported by the Environmental Management Inspectors (EMI’s) are beginning to result in the dismantling the trafficking networks. 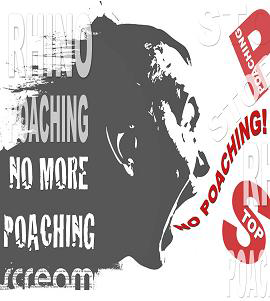 In the period under review a number of rhino poaching related offences went to trial. The following are the highlights of some of the successful convictions against poachers and traffickers. S vs Sihlangu, finalized on 26 June 2017. Charges included trespassing and possession of an unlicensed firearm and ammunition. The sentence was 17 years imprisonment. S vs Ngoveni, finalized on 15 June 2017. Charges included trespassing and conspiracy to commit rhino poaching. The sentence was 8 years imprisonment. S vs Ndlovu; finalized on 30 June 2017. Charges included trespassing, possession of an unlicensed firearm and ammunition and illegal immigration. The sentence was 19 years effectively. S vs Nyanombe and Ntimana. Cases finalized on 30 June 2017. Charges included trespassing, the possession of unlicensed firearm and ammunition, and illegal immigration. The sentence was 14 years imprisonment. These are just some of the successes we have registered; the media statement will include all the cases we are reporting on, should you require additional information. Although the campaign is far from won in the KNP and elsewhere, we are reaping the benefits of our anti-poaching endeavours supported by so many state and private parties. We continue to look into the employment of new technological interventions, with the latest breakthrough being our home-grown mobile radar system which has the ability to cover hundreds of square kilometres to ensure early warning and assist with the night engagement of poacher groups. The Department’s Environmental Management Inspectorate (EMI’s) also known as the Green Scorpions continue their collaboration with other government agencies such as SARS customs officials in order to combat the illegal import and export of wildlife products. There has been a marked increase globally during 2017 in the number of rhino horn detections and seizures at ports of entry and exit. As indicated previously, since the beginning of this year, there have been several detections at OR Tambo International Airport (ORTIA). The South African National Defence Force (SANDF), border officials and airline handling teams are continuing to be trained by the Department of Environmental Affairs as part of our efforts to build capacity to tackle the illicit trans-boundary movement of endangered species. In February this year the Department of Environmental Affairs, together with SAPS and SARS Customs, took part in INTERPOL’s global Operation Thunderbird, involving police, customs, border agencies, environment and wildlife officials from 43 countries. During this week-long operation in South Africa 30 aircraft, 1 657 vehicles (including buses and trucks), 1 857 pieces of luggage and 632 people were searched. A total of 480 shipping containers were opened and inspected. The searches assisted in ensuring that our efforts are more visible and yielded results as indicated above. South Africa has also formally requested DNA samples from illegally traded horn confiscated in Thailand, Vietnam, Hong Kong, Malaysia, Swaziland, Namibia, Mozambique and the Netherlands. These samples assist in linking such seizures to poaching incidents providing important information to assist with further investigations. This was successfully employed in a cross-border investigation between Swaziland and South Africa, following the seizure of a consignment of rhino horn at OR Tambo International Airport in 2017. The seized horn was in transit from Swaziland to Hong Kong. Three similar suitcases had been seized in Swaziland the previous day and two couriers were arrested by the Royal Swaziland Police. A total of 34,96 kilogram of rhino horns were seized between our two countries. Rhino DNA matching which was done through VGL’s Rhodis system indicated that the rhino horns discovered at ORTIA and in Swaziland were linked to a rhino poaching incident at Balule Game Reserve, Hoedspruit in January 2017, as well as rhino poaching incidents in the North West Province and KZN. Coordination of this investigation continued between the Royal Swaziland Police and the HAWKS and the trial in the Swaziland High Court will commence in June 2017. Such successes are indicative of the growing co-operation within the SADC region to combat rhino poaching, which should be celebrated. SANParks initiated a process of trans-locating rhino away from high risk poaching areas during 2014. The initial phase was completed during May 2017 with financial assistance from the Peace Parks Foundation. A total of 33 white rhino formed part of this initiative. The results offer guidance for the future establishment of strongholds in the KNP and other rhino range states if poaching pressure reduces. We are excited at this prospect as it provides opportunities to establish strongholds with local communities as key partners. Since 1990 the translocation of rhinos to smaller farms and reserves has resulted in those rhino populations growing faster than would have been the case had they remained in the KNP. By the end of 2016, the gains made as a result of translocations offset about 25% of the rhinos lost in the Kruger National Park during the 2016 calendar year. We would like to thank the National Department of Transport for ensuring that the trans-located rhinos are treated with care and that a waiver has been applied to ensure that the animals do not languish in border queues or stop at weigh bridges, both of which alleviate their stress levels. SANParks has visited the established strongholds and assessed progress. For the most part, all rhinos were doing well and have established well in their new environments. It should be mentioned however that one facility experienced an aggressive poaching onslaught and lost 15 rhinos out of 35, some of which originated from the KNP. SANParks and the owner are now working together to find an alternative stronghold using the same criteria. Unfortunately, this year we have not been able to translocate any rhinos. Our Rhino Protection Programme, supported by the Peace Parks Foundation, continues to support orphanages which provide care for young rhino calves whose mothers have been poached. We now have several rhino orphanages around the country taking care of orphans. The intention remains to ultimately resettle these orphans as part of family groups in the wild. SANParks alone has rescued 4 orphans in 2017 and presently holds 44 rhino orphans at various facilities. As part of our approach to increase the black rhino population, we have initiated a new Rhino Guardian project in the Kruger National Park during January 2017 with support from the Peace Parks Foundation and the World Wildlife Fund, South Africa. Our approach includes a priority response by task teams when incursions occur that could threaten black rhinos. We have dedicated biological management and science support that use innovative techniques to inform efficient protection by our field rangers. I will turn now to the rhino poaching statistics for the period January to June 2017. There has been a slight decrease in the number of rhino poached nationally. A total of 529 rhino have been poached since January 2017, compared to 542 in the same period for 2016, representing a decrease of 13 rhinos. With regards to the Kruger National Park (KNP) which as you know has traditionally borne the brunt of poaching, a total of 243rhino carcasses were found between January and the end of June 2017. This is compared to 354 in the same period in 2016. This represents a decrease of 34%. As we have always stated, these declining numbers do not mean we can proclaim victory. Nevertheless, the downward trend is being established, which is cause for cautious optimism. Whilst there has been a decrease in the number of rhino killed for their horns in the Kruger National Park and Mpumalanga, the number of rhino poached unfortunately increased in some other provinces. It is with concern that we also report that in 2017, 30 elephants were poached in the Kruger National Park. The interventions being implemented to counter rhino poaching are also used to respond to this emerging threat. It is clear that more resources are required to address this challenge that we are experiencing in terms of both rhino and elephant poaching. As you will be aware, earlier this year the Constitutional Court dismissed my application for leave to appeal the High Court’s decision to set aside the moratorium on the domestic trade in rhino horn. The Department has developed a set of draft regulatory measures, focusing primarily on the domestic trade, but also including specific provisions relating to the export of rhino horn for non-commercial purposes, such as personal use, hunting trophies, research or education and training as provided for by the Convention on the International Trade in Endangered Species of Wild Fauna and Flora (CITES. These were published for public comment in February this year. All inputs are being considered as part of the current approval process. It is important to underscore two issues, because from time to time media reports arise which serve to create confusion. Firstly, in order to be in possession of rhino horn you need a permit. This is in terms of the National Environmental Management: Biodiversity Act 2004 (NEMBA) as well as applicable provincial conservation legislation. A CITES export permit, which also needs to make provision for the export as a Threatened or Protected Species (TOPS) specimen, that has to be endorsed at the port of exit prior to exportation. In order to facilitate the national coordination of permits for the domestic trade in rhino horn, I will be the issuing authority for permit applications relating to the selling and buying of rhino horn within the borders of the country. However, this arrangement is dependent on the written agreement of MEC’s responsible for the conservation of biodiversity in the nine provinces. Secondly, and this cannot be emphasized enough – the commercial international trade in rhino horn remains strictly prohibited in terms of CITES. That is correct, Ladies and Gentlemen, prohibited. South Africa is a signatory to CITES. The aforementioned draft regulations published for public comment relate to a proposed domestic trade. We sincerely hope that in our reporting you will do a service to your readership and listenership and emphasize this distinction so we do not sow confusion. The Department’s Environmental Management Inspectors (EMIs) as well as those of the provincial conservation departments will continue to monitor compliance with the relevant regulations and requirements. We have repeatedly emphasized that bringing local communities into the mainstream of conservation is central to our anti-poaching strategies. If our communities, and rural communities in particular have a real, tangible stake in the natural resources sector, we will be able to remove the incentive to become involved in the activities of the transnational organized criminal syndicates involved in rhino poaching. It is communities who suffer the most from the increased insecurity that results when there is poaching-related activity in the vicinity in which they live. The Rhino Conservation Lab identified five key interventions that will be instrumental in addressing the underlying concerns of communities. Key activities are to be undertaken tomake communities who live adjacent to national parks and reserves partners in conservation. Anonymous community participation that allows communities to engage conservation authorities and allow whistle-blowers to bring information to authorities. Facilitating increased economic participation for communities is in line with government’s Biodiversity Economy Strategy (BES). The overall aim is to contribute to the reduction of poverty in rural areas through the development and optimisation of natural resources. The donation of 625 heads of game to new and emerging farmers, done in coordination with provincial conservation authorities. The target is 300 000 head of game by 2030 in the hands of previously disadvantaged individuals. South Africa has signed Memoranda of Understanding (MoU’s) with Vietnam, China, Laos, Cambodia, Mozambique and Kenya. These MOUs have assisted to improve international and regional collaboration and several are currently under implementation. Demand Management and awareness projects in Vietnam are gaining traction. These are directed at youth and business community and are spearheaded by governments NGO partners who are working in partnership with local organisations. These projects include partnership with a University in Shanghai to develop solutions to address Consumer Behaviour and Demand Management related to illegal rhino horn use. During March 2017 the Hawks, SAPS and the Department of Environmental Affairs met with the Vietnamese Ministry of Public Security to discuss better cooperation between the South African and Vietnamese law enforcement to address wildlife trafficking. We continue to register progress in terms of our MoU with fellow rhino range state Mozambique. This progress has been accelerated since the signing of the Great Limpopo Transfrontier Park (GLT) Treaty in 2002. The finalisation by the government of Mozambique of new legislation to assist with prosecution for wildlife crimes. This includes the introduction of harsher penalties for alleged poachers and traffickers. Outside of these MOU’s South Africa continues its collaboration with international law enforcement networks. We continue to engage in particular with the International Consortium to Combat Wildlife Crime (ICCWC) the CITES Secretariat, INTERPOL and the UN Office on Drugs and Crime (UNODC). Working with the local INTERPOL offices, we participated in the regional INTERPOL Environmental Crime Workshop in Tanzania in April 2017 where information and intelligence was shared on trends and patterns used by traffickers of wild fauna and flora with a focus on rhino and elephant. We also participated in a regional Investigative and Analytical Case Meeting on rhinoceros horn trafficking hosted by the HAWKS and the INTERPOL National Central Bureau in June 2017. It was attended by investigators from China, Malaysia, Mozambique, Swaziland and South Africa and aimed at improving law enforcement coordination and cooperation in relation to ongoing investigations focused on transnational organised crime. The Hawks have further strengthened their priority actions through engagement with international agencies, partnering with the Asset Recovery Inter Agency Network Southern Africa (ARINSA), the Wildlife Inter-Regional Enforcement (WIRE) group and the Rhino Elephant Security Group (RESG) meeting hosted in South Africa in January 2017. It is important to state that as government we remain committed to providing regular updates on the state of rhino poaching in South Africa. Without this information the media would be unable to perform its important job of keeping the public updated. Rhino poaching is a National Priority Crime and we continue to pursue a number of strategies to tackle this problem, working with vigour and determination, and as a collective. As I said earlier, we are not claiming victory; but we should celebrate successes even when they are small. This also serves to motivate our citizens from all sectors, be they the NGO community, the business community, civil society, and most of all our ranger corps. Together we can do more. In conclusion we would like to once again to remind the public to be vigilant and report suspicious activity relating to rhino poaching and wildlife crime in general, to the relevant provincial and national authorities. It is only through working as a collective that we will be able to put an end to rhino poaching. Where are South Africa’s missing rhinos? Kruger’s contested borderlands Are eco-cocoons the solution to poaching?